LOOK OUT FOR SPECIAL WINTER FAIR MILLY DISCOUNTS AT THESE PLACES. Shops and businesses include; Snakatak, Accupuncture (special discount on some items, please ask in shop for details), Limoncello (free or reduced Italian pastry), Hall’s Locksmiths, Vishemael’s Leather (Misfits, ‘Milly Bag 30%off on fair day), Himalaya, Inspirations, Ian James, Balv’s Wigs, Claud Butler, Cafe Brazil (20% of certain cakes), Taank (20% off glasses purchased on the day), Black Cat (Special Milly Latte for £2.20), The Sea Tree, Urban Larder, The Meze Bar, Hope Yard (various discounts from different business’, Donaldson’s Bakers (Special Milly Cookies (yum) and other offers on the day), Petersfield Pharmacy, Cambridge Wine Merchants, Hot Numbers Coffee, Arjuna Organic Foods. 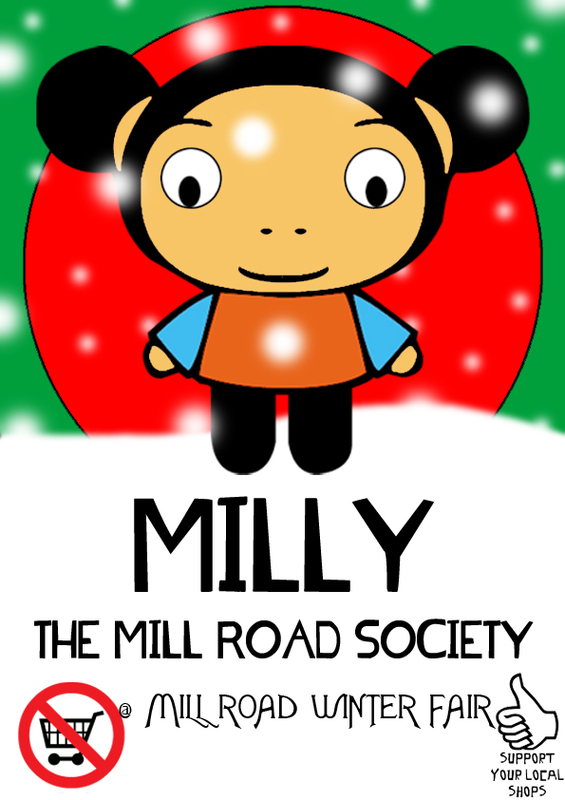 You are currently browsing the The Mill Road Society blog archives for November, 2011.